Futurespace is an award-winning team of interior designers and architects who create environments that enhance people's lives and businesses. "Design has the power to influence how we experience the world around us". If people are the driving force of your organisation, if people’s experiences are at the core of your business success then it makes financial sense to invest in good design that improves and optimises how they engage with the spaces they spend time in. Design changes how we inhabit physical spaces and how we function in everyday life. That is why we design and create future-focused, intelligent and practical physical spaces that enhance people’s lives and businesses. Futurespace is a cutting edge interior design and architectural agency leading the way in creating the future spaces in which people will work, learn and live. We believe that design has the power to influence how we experience and interact with the world around us. We know from experience that well executed design allows people to work, learn and live more creatively, productively, collaboratively and cohesively. Working across many sectors, Futurespace sees the lines between sectors becoming more and more blurred. That’s why we work with innovators, influencers and disrupters to transform their spaces. Our work spans many sectors and we are setting the agenda for cutting edge workplace, education and hospitality design, both domestically and internationally. 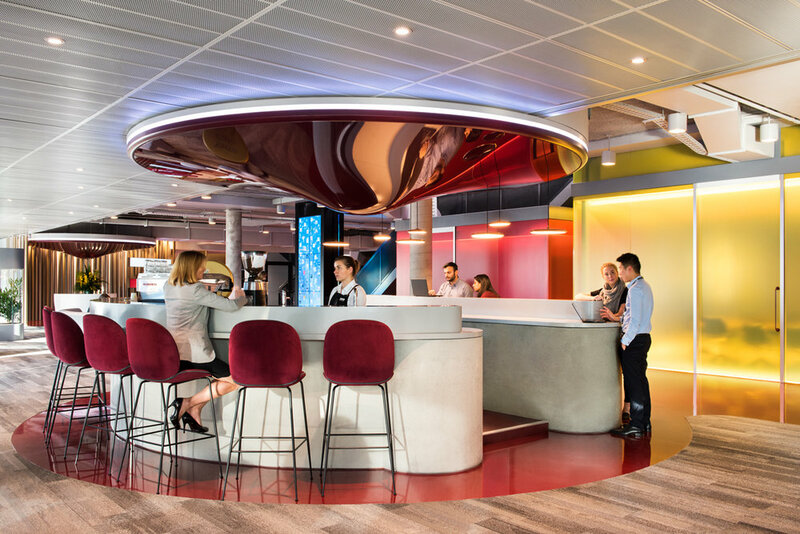 Futurespace has reinvented the places people inhabit for some of the world’s biggest companies by working collaboratively to bring together people, physical spaces and technology to create environments that inspire and add value.